Throughout my first pregnancy, one of my biggest issues I had were my feet. Unfortunately I did not take any pictures during my pregnancy because I was not happy with the way that I looked or felt. By the end, I had gained 60 lbs (130 lbs to 190 lbs) – which was totally insane because I didn’t stuff my face with anything and everything that I could possibly eat! Here is my story about why insoles for pregnant women are important! At the end, I gained 10lbs in one month in my legs and feet in water weight because as a teacher, I was standing all day. Obviously my doctor did not understand this because he was definitely not happy with my gain in weight. Now, with this weight gain in my legs and feet, I literally looked like shrek. My feet were red and very swollen. When I went to get pedicures, the people were afraid to massage them as I am begging them to rub my feet! Life was rough. Thank god it was summer and I could wear sandals, size 10 (originally size 7!!) because nothing else that I had fit and those I had to go to the store and buy. I almost considered being barefoot – but that was clearly on the verge of being seen as a big, huge, angry, pregnant woman – which wouldn’t have been very far from the truth! Nothing helped. But I refused to try Dr. Scholls from the store. To me, I felt like then I was really pushing my ugliness and I already felt disgusting enough, so it wasn’t an option –what did I know?! 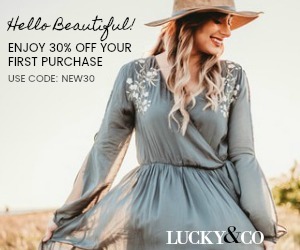 Now, knowing that this is something that will for sure happen to me again in my next pregnancy, my friend who works at sales and went to a mommy expo, she found some amazing companies for my to look and prepare for my next pregnancy. She found a company called MommySteps Insoles. 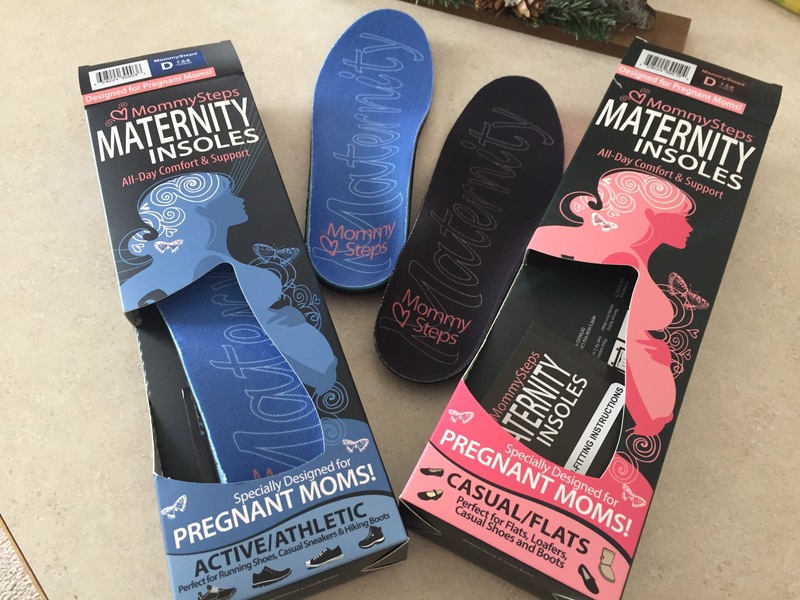 They specialize in maternity insoles that can mold to your feet! Again, I continue to ask the question of why did I not know about these things when I was pregnant?! 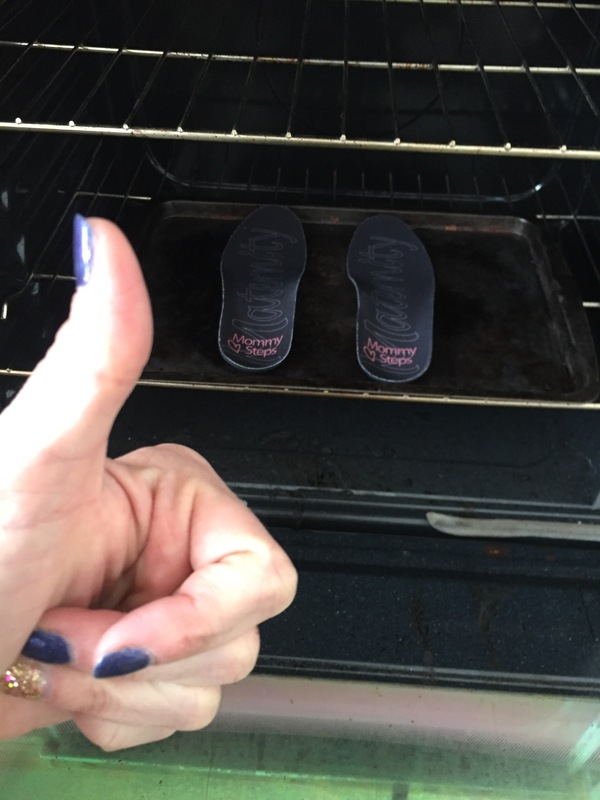 These insoles are heat moldable in the oven, which makes for a perfect fit and comfort. The insole will also mold somewhat by wearing for a week or more putting them in the oven. It was super easy to do and did not take that long at all. Another thing no one ever tells you during pregnancy is that your feet change and grow –like everything else! The MommySteps prevent the foot from growing a size by holding the arch in place. Even when the hormone elastin loosens the foot, the MommySteps Insoles will hold the original length of the foot and prevent it from bowing. This could have been a huge difference in my pregnancy. It could have changed the way my feet blew up, the size they got, and my lower back hurting! I could have worn normal shoes. WHO KNEW?! I can even wash them and let them air dry so they don’t stink from my boots and flats! Seriously amazing. One of the many good qualities of this product are that there are different ones for working out (Athletic for Runners) the blue ones and then for work (for tighter fitting shoes) are the black ones/pink box. But even better than that? You can re-heat the insoles 3 times in order to refit your foot. It remolds to best suit the foot at 3 months, 5 months and 8 months etc. The pregnant foot changes substantially, so your insole should adapt to that. For my next pregnancy, I plan to use these because I will be working out this time and I cannot afford for my feet to blow up like Shrek feet and I can keep wearing flats and my high heeled boots. I pretty much gave up heels when I got pregnant knowing that I would not be able to walk in them, and it seriously changed my style and made me feel like a fat, ugly person. Now that does not have to happen! Serious amazing stuff. WHY did I not know about this the first time?! If you are in your 30s and pregnant or planning the second one, these are for you. Don’t ruin your feet like I did. I am one of those people that no matter what I do, I will always gain a lot of weight pregnant, and now that I know how to protect myself from the elements of pregnancy, this is my option. The first pregnancy made me learn so many different things, and something like insoles in your shoes that will stop your feet from hurting and changing drastically, well this is my time to share that information with other ladies who don’t want to go through that pain again! Things that I wish someone had told me or I had read about. 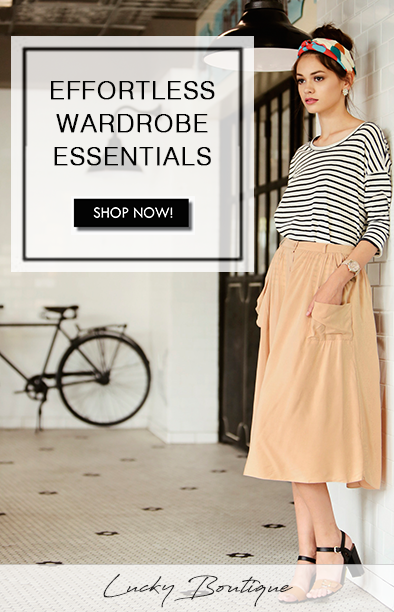 MommySteps Insoles are going to save my fashion life (and my feet!) during my next pregnancy – maybe this time I can take pictures of myself and be proud of how I look and feel! So true you are right about that ! I found your post to be so informative that I sent it to my daughter who is pregnant with her first. Do these insoles work on non-pregnant women? That would be great. I wear them around now and I’m not pregnant ! They are awesome.